Publishing and circulating news, articles and documents containing distortions of the truth to undermine Vietnam’s prestige in the international area represent main methods of operation by hostile forces, with a focus on undermining the ideological base of the Communist Party of Vietnam. Therefore, combating and preventing those malevolent, wicked activities serve as a task of urgency at the present time. To abolish Marxism-Leninism, Ho Chi Minh’s thought, the Party’s leadership and socialist regime in our country as well, the hostile forces have stepped up their sabotage via malevolent methods and artifices. Accordingly, they have attached special importance to publishing and circulating articles and documents to distort our country’s reality; to allege that Vietnam violates democracy, human rights, and suppress ethnic groups and religions; to divide great unity between the people and the Party and authority as well as social consensus; to undermine the people’s faith in the Party’s leadership, the State’s management and the preeminence of the socialist regime; to incite opportunists and malcontents within the country and induce the masses to take part in political riots when the time comes. According to studies, we could categorize those publications and documents as follows. First, resolutions and acts of Parliaments and Congresses of the U.S., Australia, and Western countries such as the UK and Switzerland, etc. Those documents frequently contain wrongful, biased judgments on democracy and human rights of other countries, including Vietnam, with a view to making claims in bilateral and multilateral diplomatic ties and deeply intervening in Vietnam’s internal affairs. Typical examples include the International Religious Freedom Annual Reports by the US Department of State, annual Reports and Resolutions on the situation of international human rights by the European and UK Parliaments. Second, legal documents of international organizations and non-governmental organizations (NGO) submitted to the UN Human Rights Council, Vietnam’s Party and State leadership as well as our functional agencies attached by erroneous information about our country’s situation, i.e. Press Releases of the Amnesty International (AI), Letters of Protest by the Human Rights Watch (HRW), and so on. Third, printed documents, such as books, newspapers, magazines, booklets, leaflets, and so forth, from reactionary organizations and exile dissidents, submitted to the UN Human Rights Council and NOGs as well as Vietnam’s Party and State leadership, containing distortions of Vietnam’s human rights and situation of religion and ethnicity. Fourth, broadcasting programs in Vietnamese language by VOA, RFA, RFI which update on the dark side of Vietnam’s democracy and human rights, highlight and hype up weaknesses and mistakes of governments at levels in handling complicated cases related to religion and ethnicity as well as in dealing with those who take advantage of press freedom and speech freedom to falsely accuse Vietnam of violating human rights and suppressing religions. Furthermore, external forces have founded broadcasters, websites, blogs, forums, taking advantage of mass media and Internet to sabotage Vietnam’s ideological base. They make use of cooperation in the realms of post and telecommunications, domestic press and publishing, international cooperation programs, press training projects and workshops to effectuate transformation in ideology. 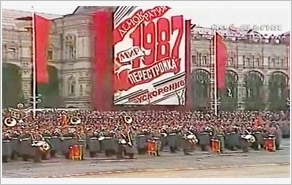 Also, they exploit postal service, diplomatic delegations and foreign tourists to circulate publications, reports and documents to the people, thereby making people from all walks of life, particularly young people diverge from the Party’s goals and ideal, gradually forming separatism, gathering forces for the establishment of opposition party, and accelerating “self-evolution” and “self-transformation” within our country. To that end, the hostile forces frantically publish and circulate documents to our country via hundreds of websites, blogs, online newspapers, forums on the Internet as well as hundreds of newspapers, magazines and broadcasting programs in Vietnamese language. They make the most of important political events and complicated incidents to circulate reactionary publications and documents in support of dissidents to sessions of the UN Human Rights Council with the participation of Vietnam delegations to lower Vietnam’s prestige in the international arena. Exile dissidents and reactionary groups also induce US, Western extreme politicians (such as L.Sanchez, Tremosa I.Balcells, etc.) to put pressure on the US House of Representatives, UK House of Commons, and European Parliament to issue resolutions and enact bills slandering Vietnam’s situation of democracy and human rights as a pretext to make claims and intervene in Vietnam’s internal affairs. They capitalize on conferences and hearings of the UN Human Rights Council and the UN Economic and Social Council to prompt “reports”, statements, and resolutions distorting Vietnam’s democracy and human rights. Since 1999, the US Department of State has released the so-called “the International Religious Freedom Annual Reports” with biased judgments about Vietnam’s religious situation, putting Vietnam on the CPC list for many times and adopting sanctions against Vietnam for the reason that “Vietnam seriously violates the freedom of religion”. To fight against and prevent those activities, our Party and State have promulgated directives, resolutions, laws, documents for directing and managing this field. Functional agencies have proactively employed various measures to combat and prevent publishing and circulation of documents distorting our country’s situation, while opportunely detecting weaknesses and inappropriateness of law regarding management of information and communications to amend, supplement and complete. Through channels of bilateral, multilateral cooperation, people-to-people diplomacy, and meetings with foreign delegations interested in Vietnam’s human rights, we have conveyed policies towards and achievements in ensuring human rights to international friends, contributing to combating and refuting distortions of our country’s democracy and human rights. However, prevention of distorted publications and documents on Vietnam is still limited. Grasping the situation is sometimes sluggish. State management of press, publishing, internet is not effective yet. Legal system in this area has yet to be completed, thus exposing weaknesses that the enemy could exploit. Coordination between functional agencies in combat and prevention has yet to be regular. Violations of directions for propaganda and regulations on disclosure of sensitive information and writings via mass media are on the increase and accompanied by complex developments. The apparatus in this area is still insufficient; technical and professional competence of the staff has yet to be high. To improve the efficiency of preventing the hostile forces’ circulation of publications and documents against Vietnam, it is necessary to focus on the following measures. First, functional agencies shall continue to closely cooperate with one another in grasping the situation and opportunely detecting violations to fight against. Coordination in conducting the work of propagation and raising awareness of cadres, party members and people towards the hostile forces’ schemes and artifices, particularly their circulation of publications and documents against the Vietnamese revolution shall be facilitated on a regular basis, particularly on the point of circulating publications and launching campaigns aimed at circulating documents against Vietnam. As an important task deciding the effectiveness of preventing and combat these operations, we need to proactively grasp the situation and keep a close watch on the hostile forces’ focuses of ideological sabotage to take timely measures against. Second, it is necessary to build and complete regulations of law on information and communications, publishing, press and Internet. This is an objective requirement set by the process of development and integration into the world. Therefore, we should proactively review the current legal system and identify arising social relationships that haven’t regulated by law yet to counsel the State to build and promulgate new legal documents, making contribution to promoting the total power of the whole political system in preventing and combating the hostile forces’ circulation of publications and documents containing evil information. It is important to build and complete the legal system opportunely, sufficiently in accordance with the Party’s guidelines. Moreover, it is crucial thoroughly comprehend basic principles of socialist law and create favourable legal conditions for combating and preventing acts of sabotage against Vietnam. Third, the efficiency of state management in the realms of information and communications, publishing, press and Internet shall be enhanced. It is necessary to counsel the Party and the State to promulgate directives and resolutions on continued acceleration of coordination among committees, ministries, sectors in this task. There should be mechanisms of inspection and supervision of this task. Management of cooperation projects on post and telecommunications, export and import of cultural products shall be enhanced. It is necessary to opportunely detect and rectify faults and distorted information of websites and blogs; while taking advantage of support of foreign politicians and organizations to transform dissidents into positive direction, contributing to weakening support for the issuance of resolutions and the enactment of bills that distort Vietnam’s democracy and human rights. Conferences on reviewing the implementation of this work should be organized on a regular basis to lay down more effective measures. Fourth, new achievements in science and technology shall be applied regularly, and modern means and equipment shall be equipped to effectively serve the work of management and inspection of press, information and communications, publishing and Internet to prevent the hostile forces’ exploitation of science and technology to circulate publications and documents against Vietnam. Agencies in charge of press, information, communications and publishing should regularly consolidate their organizational structure and improve knowledge and professional competence of their staff, meeting the task requirements. Fifth, favourable conditions shall be created, and dark sides in the country shall be alleviated so that the hostile forces couldn’t exploit those to sabotage. First and foremost, it is necessary to build politically, ideologically, morally strong Party; to perfect rule of law socialist State of the people, by the people and for the people; to heighten the role of sociopolitical organizations in national management and construction. Besides, it is vital to foster socioeconomic development, guarantee social welfare, eradicate hunger, reduce poverty and improve people’s living condition. Land disputes and lawsuits, workers’ strikes, requests for places of worship shall be opportunely and completely handled and prevented from becoming “flashpoints” for the hostile forces and political opportunists to hype up and distort the situation, propose claims and further complicate political security and social order in the areas. Synchronous adoption of the above-mentioned measures will help prevent and repel circulation of publications and documents against our country, making contribution to thwarting the hostile forces’ schemes, maintaining political stability, protecting the Party, socialist regime and Vietnam’s Homeland.